LAST HURRAH!!! Book now and fly with the crew! This seat sale is going fast, too! Book Now! For as low as P 1,599 All In. Sale Period: Up to June 6, 2016 or until seats last. 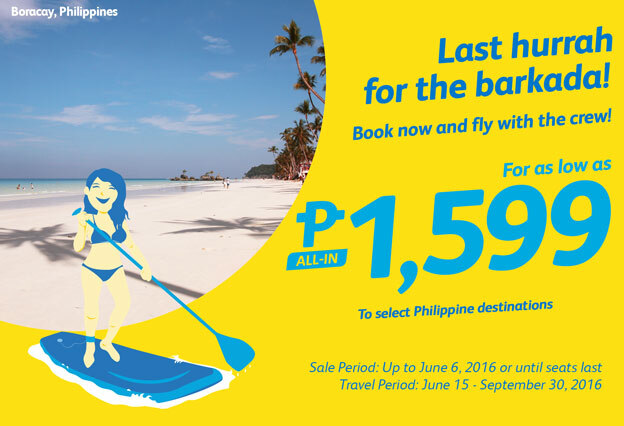 Travel Period: June 15, 2016 to September 30, 2016.
or visit the travel agent near you.